…but are you feelin’ good? I don’t usually watch the audition rounds of American Idol (so don’t except anything other than sporadic posts until Vegas/Hollywood week) but I had to tune in tonight to check out the new judges. What did you guys think of Randy, Steven and Jennifer? I didn’t find them as boring and uncritical as I expected, but the panel was certainly lacking a biting, dream-crushing voice. The judges each have their distinctive personalities, but they’re all saying the same thing. Randy says “yo dawg”, Steven Tyler makes inappropriate comments about fifteen year old girls, and Jennifer Lopez stresses over saying the word “no”. Yeah, they rejected the crazies and told a few people not to quit their day jobs. But rather than stomping on dreams, they’re wrapping them up in tissue paper to be stashed in an attic. They criticize, but without the same sharp wit that Simon, and plenty of the folks at home, have. But I’m keeping an open mind until we get to the finals. I’ve never been one of the people who love these early episode, and I’ll decide what I think of the judging panel when I see if they can criticize a top ten finalist for a bad performance with the same gusto we’re used to seeing. As for the talent, we saw a lot. And really, that’s what will make or break this season for me. 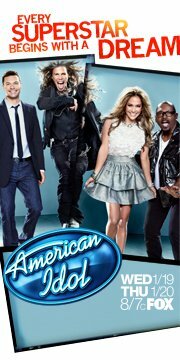 Talent and song choice in the later weeks. Because if we end up with a killer top ten, will it really matter if they’re all kind of nice? 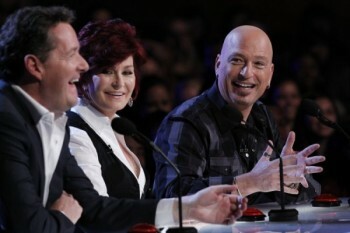 America’s Got Talent: But was there much in Dallas?